On 3 March, Cas Mudde wrote for the Guardian that the Italian elections << are at least as much about the dysfunction of the EU as they are about the dysfunction of Italy>>. 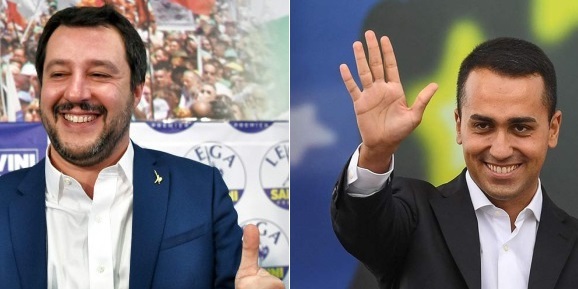 While the electoral results surprised many, the heavy defeat of Matteo Renzi’s Democratic Party, and the defeat of Silvio Berlusconi’s Forza Italia as leader of the right-wing coalition confirm its prediction. Indeed, this electoral result did not happen in a vacuum. The electoral victories of the Five Star Movement, on the one hand, and the League, on the other hand, are in line with European trends that have emerged in national elections across Europe over the two last years. Looking back only at the two last years with Brexit, French, German, Austrian electoral shake-ups, they show the European disaffection for traditional political offers, with many citizens looking for alternatives that are available on their electoral playground to the politics and politicians they consider have failed. The former governing party, in Italy too, was deeply penalised. While the Five Star Movement and the League proposals diverge, both give citizens the perception of providing unprecedented access to the policy-makers for securing their rights. The League proposes a selective interpretation of rights – rights only for the Italians, in line with all the racist and obscurantist forces in Europe. They use migrants as scapegoats for the social problems which affect a wide segment of Italian citizens. They have played a fundamental role, in the last years, to promote and provide legitimacy to the growing racist and xenophobic feeling in Italy. The Five Star Movement is a more complex phenomenon. Their proposal is different from other anti-establishment parties across Europe. On migration they are very ambiguous – also for them, it’s a matter of security. Nevertheless, migration has not been at the core of their campaign. They focussed mainly on the contraposition between the interest of the top (politicians and bureaucrats) and the bottom (normal citizens with their social needs). For what concerns the critic of the European project, both the Five Star Movement and the League, in different ways, depicted a European Union that is distant from its citizens, indifferent to their social needs, and imposes policies aimed to respond strong powers’ interests, not the people ones. The time when in Italy almost 90% of people were strongly pro-European is far away: the feeling to be ruled by an institution they cannot control is widespread, as well the rage against the social consequences of austerity and the EU heavy interference in the Italian political life. Thanks to the Italian example, it is clear that we shall stop aggregating the vote to anti-establishment forces and explain it as irrational ignorance or as a general cultural shift toward obscurantism. On the contrary, it is crucial to listen to the criticism at the popular level toward the existing political system, at the national and European level. Most of all, it is urgent to critically evaluate which policies and approach to politics led to this landscape in Italy as in the rest of Europe. As more electoral meetings are to come, including the 2019 European elections, it is time to debate and be critical of the European project as it stands today and its neoliberal policies, which have spread all over Europe social inequality and insecurity. We should not let political parties take the lead and the monopoly of the conversation on a different Europe. Democratic and pro-European social movements and organisations in Europe have to play a key role. They have been on the front line denouncing the mistakes in the EU construction and politics for years. They carry out every day many initiatives at the local level in order to give access to fundamental rights (education, housing, health, food, justice, …) to all people, even the ones excluded by the benefits of the current model of Europeanisation. By doing, by voicing, by arguing, we must raise stronger our voice for our values.Our goal is not to promote identities based on contrast and exclusions; on the contrary, to Make Europe Great for All. It is time to channel this criticism and the citizens’ need for their rights and for their power into a democratic, participative, constructive project raising from civil society of East, West, North and South. All together we shall ask for our Europe to be inclusive and just, a role model of equality and solidarity, starting from the European Parliament we shall elect soon.